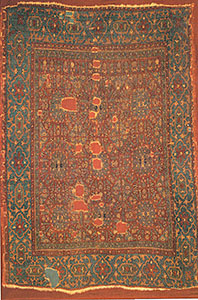 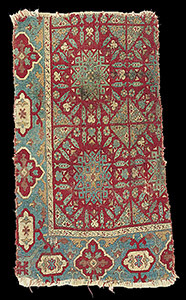 Chehel Sutun Prayer rug, Tehran Carpet Musem, Size: 105x141cm. 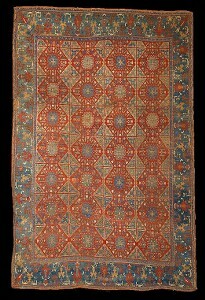 The Wher East Mediterranean compartment rug, Damascus, 16th century. 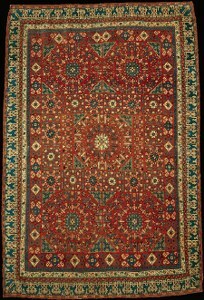 1.30 x 1.75m (4'3" x 5'9"). 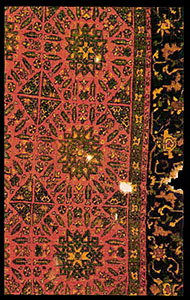 The Museum of Islamic Art, Doha, Qatar, no.CA44. 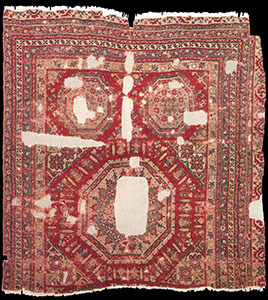 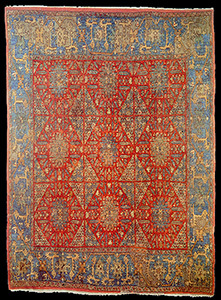 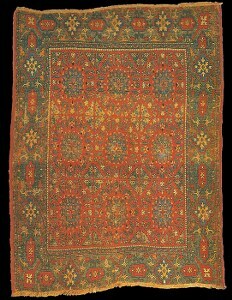 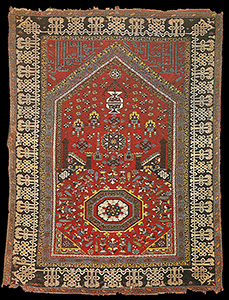 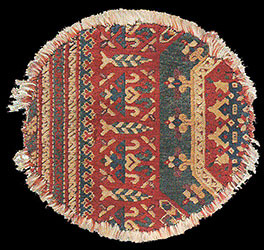 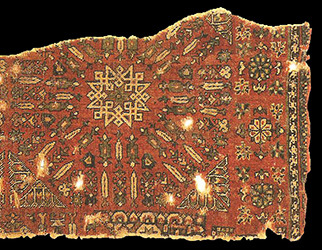 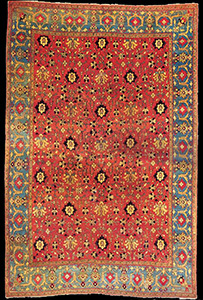 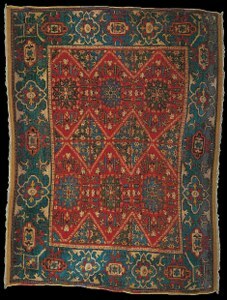 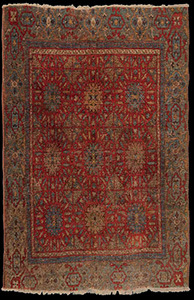 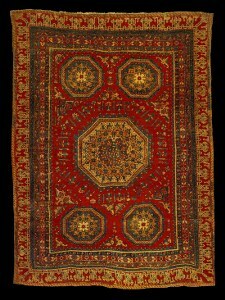 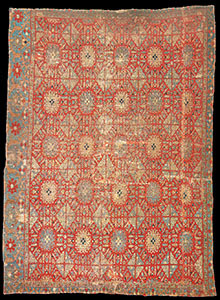 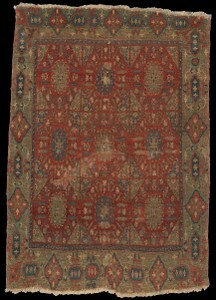 Para Mamluk carpet with interlaced star-motifs in a four-and-one layout, each surrounded by a radial arrangement of "small motifs", the field enclosed by a Kufiesque border. 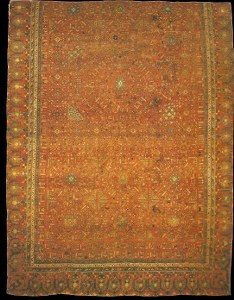 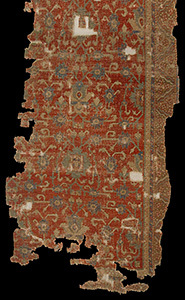 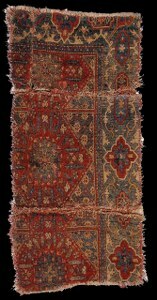 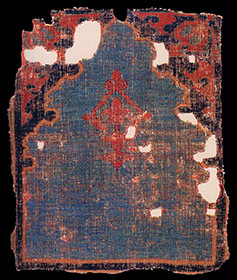 Para Mamluk rug, 16th century, Formerly Campana Collection, Milan, Italy. 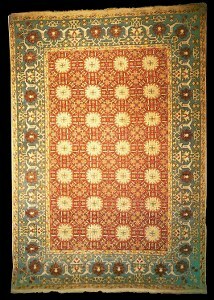 Size: 230x305cm. 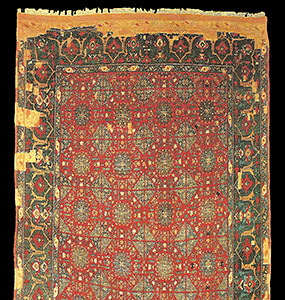 Para Mamluk "Chessboard" rug, 16th century, Islamic Museum, Cairo, inv. 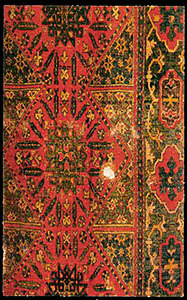 no: 15829. 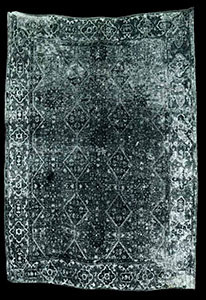 Size: 203x283cm.